Hello there hoomans…. 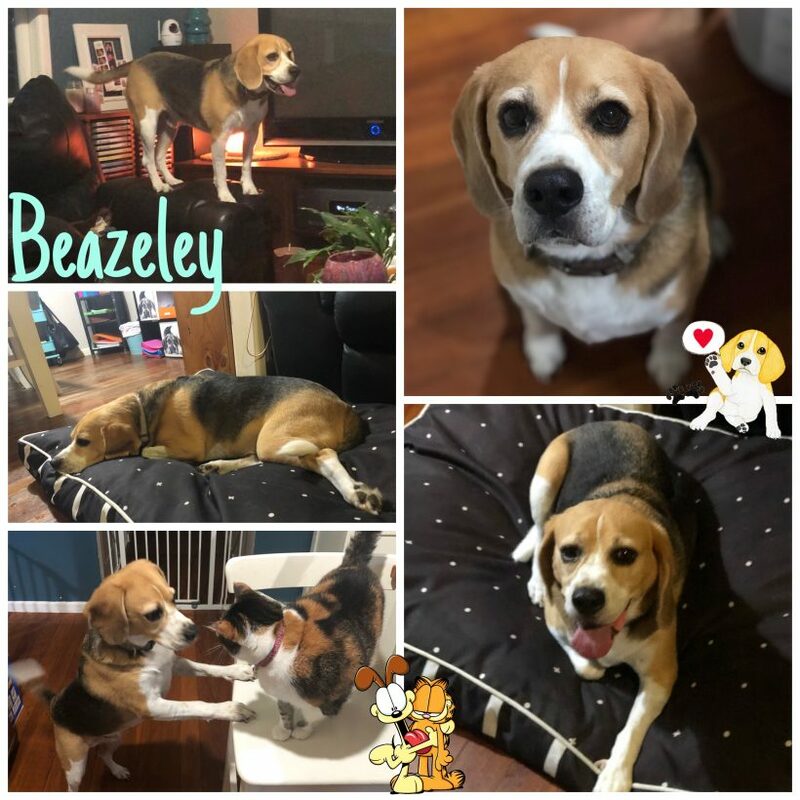 let me introduce myself, my name is Beazeley and I am a cheeky 5 yr young gentlepaw. 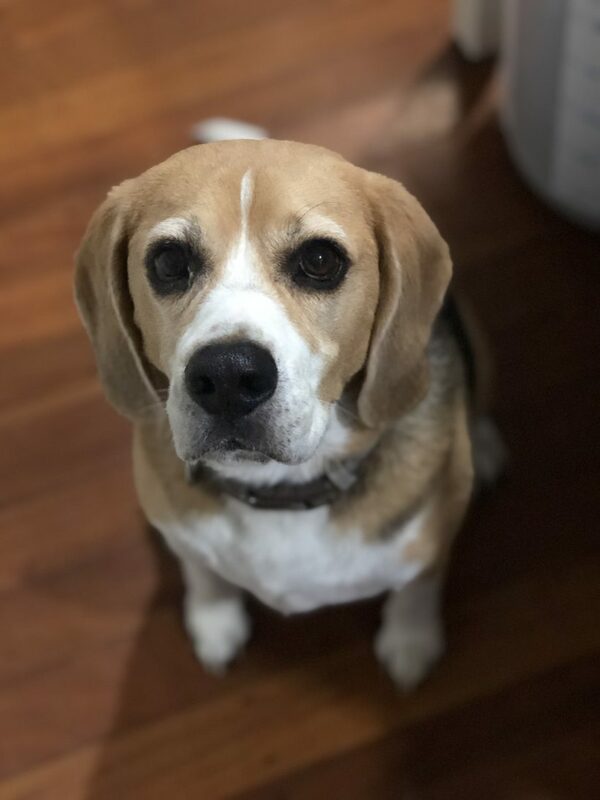 As you can see by my good looks, I am a handsome all natural Tri Colour Beagle! 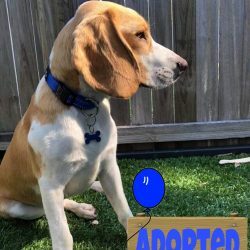 Due to not fault of my own, I have landed in the foster system as my hoomans have separated and are unable to take me with them (silly rental rules), I know it’s very difficult for them to let me go… I mean, look at me?? Plus, I have seen the tears and I understand more than they think, but they just want a special spoiling home where I am loved as much as they love me! I have only just arrived in to my foster carer’s home, so please bear with me whilst my carers and I get to know each other. 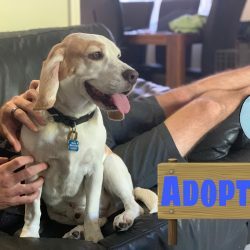 I also have to go and smooch the Vet and Nurses at Clontarf, so I can make sure I am fit and healthy and up to date with everything before the crew at BRQ find me that special furever home! So, whilst my carers do what they do… let’s talk about me.  I am quite independent for a Beagle… and no my paws didn’t make a typo and mean stubborn, those two words are completely different. 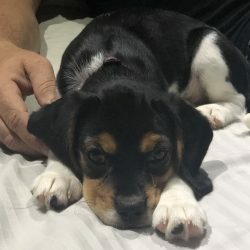 OH, OKAY, I am a Beagle and yes I am also stubborn. Can I please get back to the independent thing now… so I prefer to walk, and do things for myself… when I get picked up I will wiggle, ALOT! I love being with my hoomans, esp on the couch, bed, or my own beds… but don’t expect me to be a lap doggy or snuggle up with you, as I don’t do the PDA’s (HAHAHA I am a man after all). 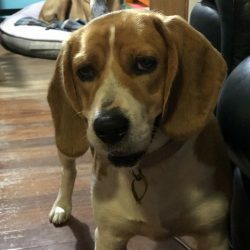 Please don’t get me wrong though, I LOVE pats, cuddles, rubs and of course the belly scratches… and when I am all scratched out, I will go and find my own part of the couch, bed or even hop onto my own bed… I am happy as long as I can see my hoomans and you don’t leave me because like all Beagles…I will follow you, everywhere (you know what I’m talking about)! 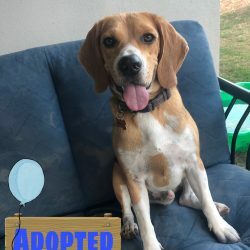 I was definitely a spoilt Beagle at my original home, so I and BRQ would prefer a home where I can be the same spoilt Beagle I have become accustomed to be. I love my inside time, as much as I love my outside time… nice big backyard with loads of sniffing and wandering around… I like to know what is happening around the place. I also love my hooman time, couch time, comfy bed time… I am toilet and house trained. I love all hoomans, big and small but I am quite timid with men though, I may also bark at strangers… but aren’t we all taught stranger danger? Once I get to know you and I can trust you, we’ll be the best of friends. I will be honest though, I don’t know why… but I do not like Hi Vis workwear, I will bark at them! But hey, don’t we all have baggage and things to work on and get over?Speaking of baggage, I have a slight fear of loud noises, thunder storms etc. I may bark as I don’t know what the noise is and may hide under the bed in a storm. I love long, non straight, stop for sniffs walks to anywhere, I love the beach, the doggy parks and anywhere really – I am open to adventures! I am great in the car, either on a blanket in the back of a SUV or even on the back seat with a seat belt. 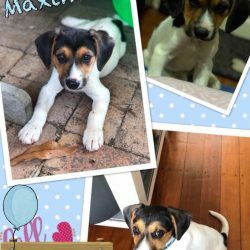 Not looking to play games, just looking for a family to love, going on walks and the above… oh and if you’re into food… I am a foodie too! 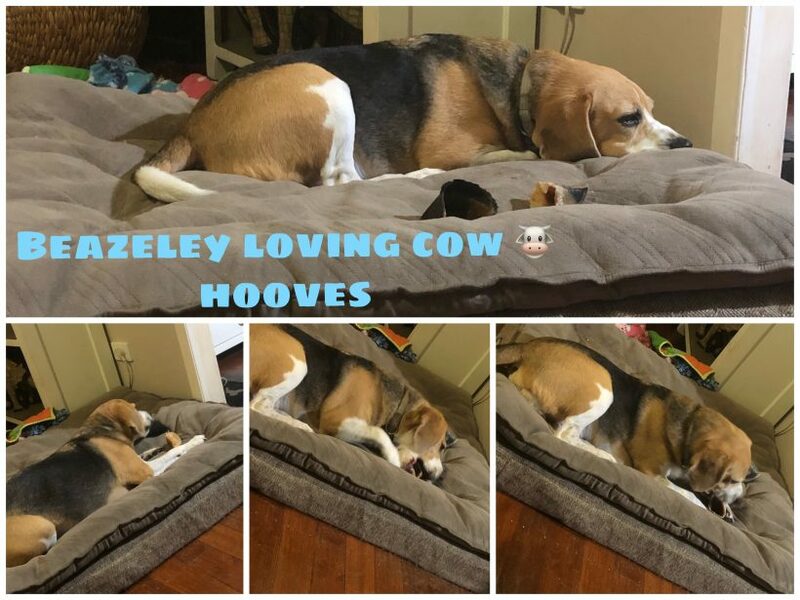 I am great with other doggies, esp my size and under… I’m no “sizeist” I am just less confident with the bigger doggies… I am becoming familiar with the feline variety and it depends on who you ask, but I think it’s going well. If you ask Poppet (that’s the cat’s name and she is the boss around here) she is definitely the better boxer, with her sharp left and right jabs to my face… I now fear to walk past her. I am great with chickens, I have grown up with 4 chickens and we can be in the backyard together… nope not a line to win the chicks (get it) hahahaha. Gosh, I can talk about me… can’t I? Ok I will wrap this up. I’m over the digging, chewing, or into the destructive behaviour, I have no aggression etc. Not really an escape artist, but if you give me the opportunity I may take myself for a walk or two. My owners accidentally left the gate unlatched, and I took myself for a walk around the block, sniffing the world and came home again. I don’t mind the whole bath thing, but like most men I do not like those mani and pedi’s. 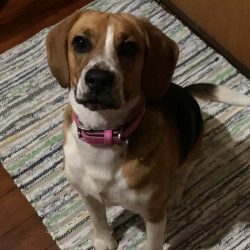 So, if you think I am the Beagle for you… swipe right nah just kidding! Let the team at BRQ know and let’s meet! My adoption fee is $550. 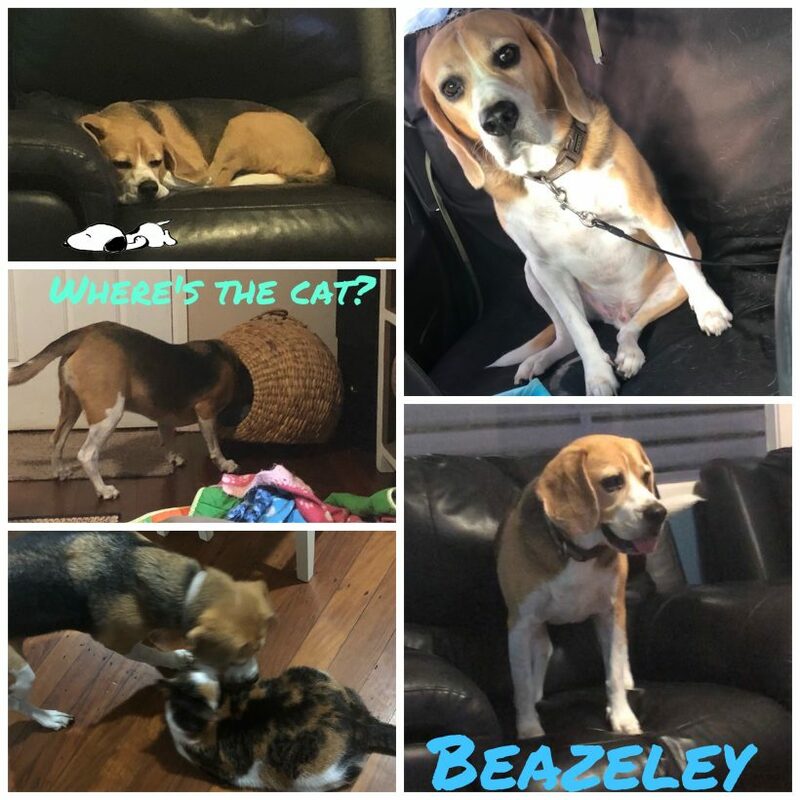 ***** UPDATE**** Beazeley’s applications are now closed, he will be attending meet and greet’s this weekend.. thank you to those that were interested him, we will be finding this boy his forever home!